You gotta love a portrait of a happy bride. 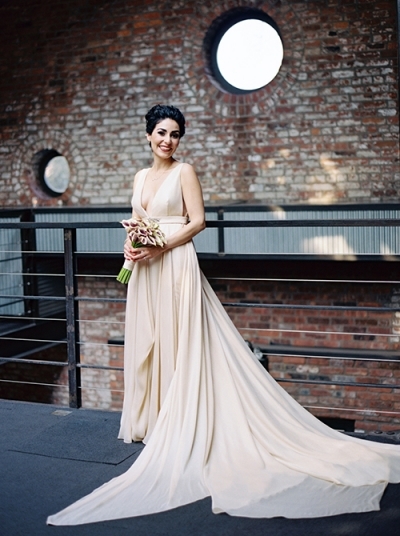 Yasaman and Ian’s summer Foundry wedding couldn’t have been more chic. The rich colors: cream, violet and brown were so beautiful….